White lace, sleek hues, and oversized bows are some of the things you would have noticed walking through the KÛR's Spring/Summer 2018 presentation during New York Fashion Week. 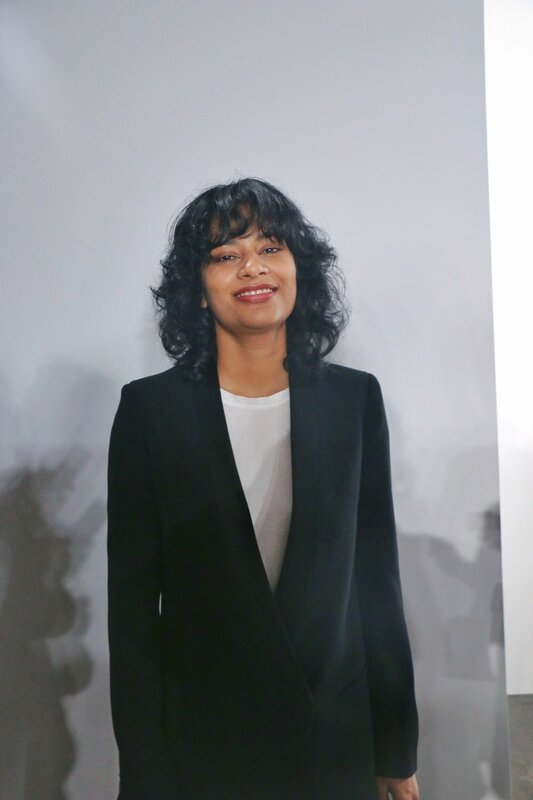 Kasuni Rathnasuriya is a New York based designer who launched her line KÛR back in 2009. But now, eight years later, this season was her first time debuting a collection at NYFW. “I would say my inspiration is not just one thing, it’s more of a straight inspiration but then we have a lot of very contemporary ideas like embroideries and lace is so big for spring/summer,” Kasuni says. Fashion week is typically a time when people are drawn to the over-the-top and marvel at the overtly strange looks, so it was a nice change of pace to see an entire collection that is so genuinely wearable. “This lace is something very unique, it’s handcrafted lace. It was introduced to us by Portuguese but made popular by Dutch in Sri Lanka, so it’s become very Sri Lankan and global. This lace is hand crafted and it takes a long time, it’s very delicate, very intricate, so that gives it a very unique look to the clothing,” Kasuni said.